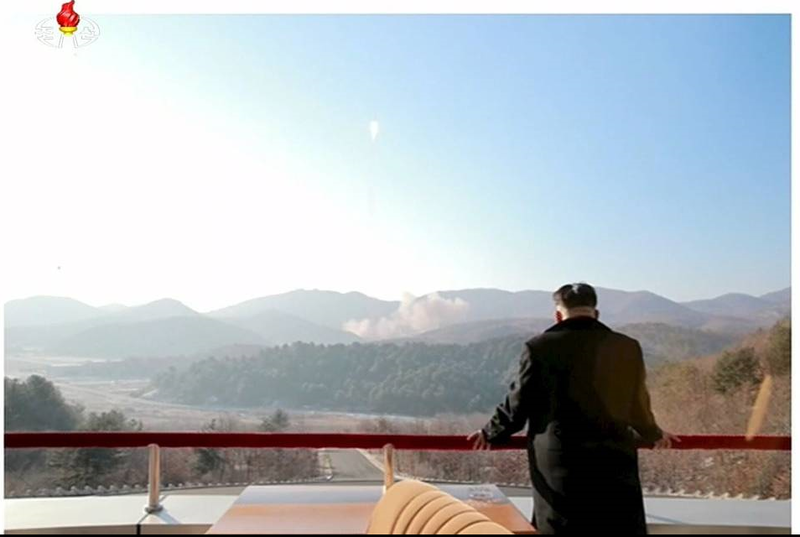 North Korea recently launched another long-range rocket as reported by the New York Times, the Wall Street Journal, and the Washington Post The editorial boards of all three newspapers deplore this development but differ in suggesting how the U.S. should respond. The NYT says that sanctions should be imposed to limit North Korea’s ability to finance warheads and missiles. Such sanctions would most acutely be felt by the Chinese companies doing business with North Korea. The WP supports economic sanctions as well as deploying an advanced missile defense system in South Korea as quickly as possible. The WSJ is concerned about the “rogue state” ICBM threat in general. North Korean missiles can now reach Los Angeles, Denver and Chicago. Iran recently conducted two ballistic missile launches in violation of the recent nuclear deal. Ronald Reagan’s launch of the SDI in the 1980s helped win the cold war. The Bush Administration is responsible for the missile defenses which exist today, including long-range missile interceptors in Alaska and California and Aegis systems aboard Navy warships. The Obama Administration has cut its missile defense budget request from $9.8 billion in 2016 to $9.1 billion for 2017. Admiral Bill Gortney, Commander of the North American Aerospace Defense Command, says that “We’re ready 24 hours a day if he’s (Kim Jong Un) dumb enough to throw something at us.” But any miss would be catastrophic and a 100% interception rate won’t happen without engineering advances and presidential leadership. SDI should be a very high priority within the overall military budget. Our national security depends on it! This entry was posted in Jack Heidel, Kim Jong Un, military budget, military procurement, military strength, New York Times, SDI, strategic defense initiative, Wall Street Journal, Washington Post and tagged New York Times, SDI, strategic defense initiative, Wall Street Journal, Washington Post by jackheidel. Bookmark the permalink. The problem with ABM systems is that if you build such a system to defend against a serious potential adversary – and North Korea, which has only a few fission bombs and lacks the industrial capacity to produce on a mass scale, doesn’t qualify as a serious potential threat to the US, which has thousands of warheads and the capacity to produce many more very quickly – that adversary will build a better missile to defeat it. Thus, you perpetuate the pointless and potentially ruinous exercise known as an arms race. That’s exactly what happened when the US unilaterally withdrew from the ABM treaty and began deploying such systems in Europe and on Aegis destroyers: The Russian Federation introduced a new-generation ICBM, the Topol-M and its SLBM variants, which can change course in the middle of its flight path and thus renders the US ABM systems (which are themselves based on ballistic missiles) useless. What the US has in operation today is not at all what Reagan – actually Lyndon LaRouche, whose proposal for a vast network of land, sea, and space-based directed energy ABM systems, to be developed in cooperation with the Soviet Union, Reagan adopted pretty much verbatim – envisaged, and would not be effective in the event of a massive launch by Russia, nor even that of a “middle” nuclear weapons power like France. The current US ABM systems in service would likely be effective against a launch by a mini-nuclear power such as North Korea – but traditional deterrence is undoubtedly a far greater consideration in the calculus of DPRK war planners than the possibility that their missiles would be intercepted. So then, how exactly does this enormously costly program – which yielded only a very limited capability against a similarly limited range of potential adversaries – justify itself? Probably its most useful feature is increasing the start-up costs, as it were, of nations considering developing a nuclear weapons program. However, is this a more cost-effective means of achieving such “pre-deterence” than alternative investments? Well, the US ground-based missile defense system (GMD) alone has cost $40 billion already, and has an intercept test record which it would charitable to describe as “mixed,” so that seems very unlikely to be the case. We could have bought a lot of much more versatile and proven systems – like F-22s or Arleigh Burke-class destroyers – for the price of this system. Thanks for your response. You make some good points. Missile defense systems are expensive, especially compared with offensive missile systems. But without missile defense we are at the mercy of our enemies. It’s not likely that Russia or China will attack us with nuclear weapons but North Korea might, they’re irrational enough. And ISIS too, god forbid that they would ever be able to. We’ll just have to spend the money necessary to guard against these rouge states. Unfortunately, our nation’s annual deficit also becomes a factor in the decision process for any new arms race. As noted previously, 60% of our 2015 national deficit occurred as a result of our excessively expensive healthcare industry. The options available for our nation’s defense represent a more precisely definable strategy than for the reform of our nation’s healthcare! Stephen Covey published a book about 25 years ago with the title, “First Things First.” Basically, it said that the first order of business for any institution is to define its true “zone of influence.” With a clear-headed eye on the horizon of world-wide turmoil, we must first fix our nation’s immigration and national productivity problems. Remember, the United Nation’s projects a world-wide population of 10 Billion by 2050, now 7 Billion. The lead time for managing our nation’s future grows shorter and shorter, especially its impending economic failure. World population growth is slowing down and will apparently stabilize around 2050. As the world’s only global super-power we have much responsibility for the future of human civilization. I agree that we need to get defense spending under better control, even though it is much less than healthcare spending overall. But terrorist regimes such as North Korea, Iran and ISIS present a huge challenge in this respect. We simply cannot afford to ignore their nuclear ambitions. did the u.s. complete sdi and prove it works?